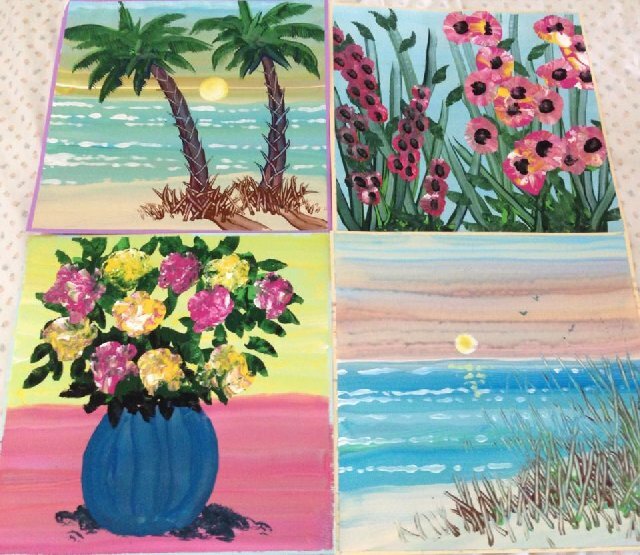 Donations are needed to help Queena continue her art therapy. 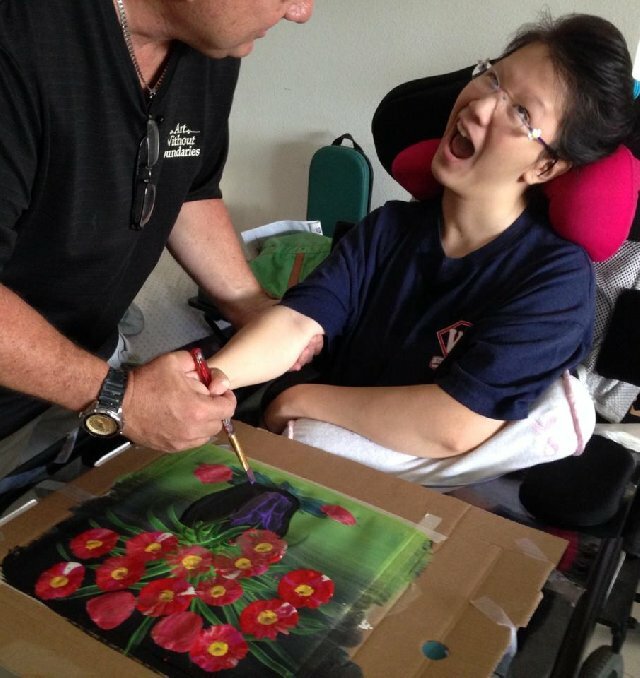 One of Queena's favorite and most effective therapies have been her Mneme sessions, a new therapy utilizing painting, singing, and little movements specifically designed for kids and adults with brain damage. Queena looks forward to seeing Mr. Craig Todd, her therapist, every time he comes over with his paint brushes and hand-held percussions. During these hour-long sessions, Queena is all-smiles. Mneme therapy is a chance for Queena to be creative, be messy, and be herself. It is a beneficial change of pace from her usual intense physical, occupational, and speech therapies. Mr. Todd instructs and helps Queena paint a different picture every session. By practicing and memorizing her brush strokes, she is teaching her brain new ways of learning. While Mr. Todd is over, they also do a little jam session--shaking hand-held percussions and moving her arms to rhythm. She follows along as Mr. Todd sings "You Are My Sunshine" and is working on being able to sing-along one day. The session is fun and improving her cognitive ability at the same time. She has been developing her memory, attentiveness, coordination, and verbal skills. Mneme therapy is not covered by insurnace and is an out-of-pocket expense. Each session is $100. Help Queena continue her therapy by sponsoring a session! We will mail you the picture that Queena paints as an appreciation gift. Donations can be made online on the joinqueena.com website. Please include a message with the online donation specifying that the donation is for art therapy.